Sultan Knish: Can the Republican Party Win the Black Vote? Can the Republican Party Win the Black Vote? The large number of Black Republican candidates running for office has opened up once again the question of how the GOP can win its share of the minority vote. John Hawkins recently argued in a Pajamas Media article that the GOP needs to radically change its tactics with minorities by attacking it as a cultural problem and one that could possibly be addressed by funding a Republican equivalent of the NAACP. But the problem lies in understanding just how much of a challenge any such program faces or how deep the roots of the Democratic party's grip really go. 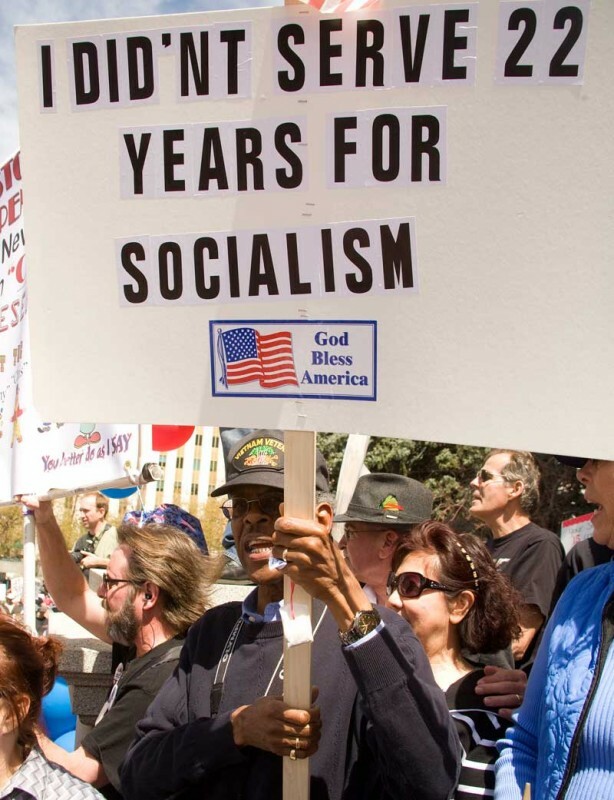 There was a time when most African-Americans were Republicans. In a slightly askew version of the political struggles of the present day, the Democratic party had identified itself with promoting Irish Catholic immigration and the Republican party had identified itself with promoting the advancement of African-Americans. The Draft riots in which the Democratic party touched off massive riots by German and Irish Catholic workers during the Civil War across a number of major cities in the hopes of insuring McClellan's victory against Lincoln in the election of 1864, went to the heart of those ugly tensions as a Black orphanage and a Republican newspaper were torched in New York City. And while those events may be ancient history, they contain the germ of the political problems we face today. The Democratic party of the day was wedded to the idea of cheap labor, whether it was black slaves on cotton plantations or exploited Irish or Jewish workers in major cities. The Republican party however championed "Free Labor" of the small farmer and the small businessman against slavery and eventually some of the corporate monopolies as well under Theodore Roosevelt. The Democratic party then was the party of big business, it wanted the cotton to keep moving and the trade to keep going, no matter what it took. Slavery, children with mutilated hands... it was all good. More ominously the Democratic party was building a tyranny because it was becoming a party with non-voters. In slaveholding states, slaves would count toward district representation, but could not actually vote. In urban areas with large numbers of immigrants, Democratic party machines controlled the polls and paid or threatened immigrants into voting their way. The expansion of slavery into the West seen in that light carried with it the threat of the end of democracy and its replacement with an Empire of Slaves, rural slave labor and urban immigrants. The slave labor factory and the slave labor plantation writ large across a United States that looked more like ancient Rome and Greece. But while the Civil War ended slavery, giving former slaves real access to open voting would take much longer. And in the major cities, the political machines went on unaffected. The Democratic Slave Empire had not really changed. It just took on a new form. As the the 20th century progressed, and the Democratic party was no longer able to control African-Americans by denying them the vote, it did exactly what it had done for the Irish and the Jews, and eventually the Italians and Latinos, it brought them inside its political machine. And they are still inside that political machine today. The political machines run by the Democratic party were very significant, because they were an early form of American socialism at the government level. The political machines took over and radically expanded the size of municipal and state governments. They appointed their own to every post and spent huge sums of money on various projects, much of that money going into their own pockets and the pockets of those loyal to them. The party bosses relied on local "community organizers" to get out the vote for them, by providing some social services and benefits to immigrant groups. They used guilds as their base in order to be able to control factory owners and workers. But the machines were about more than just about corruption. The corruption was the ends. But socialism was the means. Since the bosses needed to control increasingly multicultural urban areas, they had to do it by elevating thugs and crooks from the ranks of the immigrants who spoke their language and knew their culture, and then giving them political power. The thugs would police their own communities, deliver the votes, employ gangs to beat anyone who didn't vote the way they were told, and share the loot from criminal activities with the party machine. And while there have been some modifications in the details, the basic setup still exists. The immigrants were initially convenient because they were a slave labor force and a slave voting force. But the interesting thing that happened with the urban political machines is that each new wave of immigrants reached a tipping point in which they wanted to be insiders, not just outsiders. At this point they would often force out the older generation of immigrants, and replace them. The new immigrants would take on major roles in the party, until they too were kicked to the curb by a different ethnicity. The new wave of Irish immigrants did it to the Native Stock in a prolonged struggle, partly documented in books and movies. The next wave of immigrants, the Jews and Italians then pushed out the Irish. And then the Black and Latino empowerment of the 60's and 70's began to push them out as well. In the midst of all this "and fleas to bite them too" madness, the Democratic party became molded around the model of a multicultural socialist political machine. It was New York's Governor, Franklin Delano Roosevelt who took the opportunity to apply his experience with the party machine on a nationwide scale. Under FDR the Democratic party succeeded in shifting the black vote by applying the same strategies that had been used by the Democratic party to control and farm different ethnic groups in Northeastern cities. To understand how deep the problem goes, requires understanding that the Democratic political machines were based on sinking deep roots into the groups they wanted to control. On elevating generations of their leaders to serve as their middlemen to teach the targeted population that the Party Bosses are their friends and protectors. That the Party Bosses are just like them and have their best interests at heart. Long before Bill Clinton was being hailed as an honorary black man, a New York Democratic politician had infamously told a crowd, "My skin may be white, but my heart is as black as yours." There is a long history of Democratic pandering and manipulation. But beneath all that is the complex network of kickbacks and favors that serves as the underlying structure for controlling a particular ethnic group. This structure links together the official leaders, the elected politicians, and the unofficial community leaders, who depend on the politicians. The more a community benefits from the government, the more it's controlled by the party, which uses the leaders to feed government money down to the community level in order to control the leaders and their communities through them. The obvious message is, "We take care of you." The implicit message is, "Imagine what would happen if we stopped taking care of you." The Irish, the Jews and the Italians managed to move on up out of the old neighborhoods and the old machines. Not all of them, but enough of them. Not all of them have left it behind however culturally. The legacy of the political machine culminated in the New Deal, the apotheosis of the wise and benevolent government seeking to take care of all. The very image that the political machines had worked so hard to present to immigrants just off the boat. That still lingers on. For large numbers of Jewish seniors who either lived through the Depression, first hand or second hand, FDR is still an icon and voting for Democrats is still mandatory. Because they are the party that "cares." But the younger generations who vote Democratic, no longer do so because they want to be taken care of, but because they've been told to believe that they are obligated to take care of others by voting for the Democrats. They are the product of parents and grandparents who made it, who defied anti-Catholic and anti-Semitic bigotry, and made it to the middle and upper classes. The situation however is not yet the same in the Black community. And that is at the root of the problem. Yet that too may be changing. The Democratic party is embracing Latin American immigrants, increasingly at the expense of local Black communities, particularly in California. That is why some Black leaders felt more anxiety at Obama's victory than pride. Because it's a message that they have officially "made it" and it's time for them to step aside for a more deserving minority and help them. It's the same message that the Party has given other former minorities before. And sometimes in the same way. Irish Catholic support for Democratic party Presidential candidates began to fall off after the JFK era. The same thing may yet happen in the Black community in the decades to come. And this is where the philosophical differences between the Democratic party and the Republican party must come into play. Once the Democratic party is done "taking care" of you, you're expected to buckle down and contribute to the greater good as defined by their political machine. The Republican party however values individual entrepreneurship and ambition. And that is a message that Black voters may be increasingly ready to hear. The Republican party cannot and should not be trying to duplicate Democratic party political machines. This is not only a doomed effort, because it would produce nothing but useless third rate copies of the original, that could only be made viable through a large scale system of patronage and corruption that would have to be rooted in local politics-- but because it misses the point. What the Republican party needs to concentrate on, is on offering what the Democratic party can't. Ownership. Work for yourself. Keep your own money. It was the basic idea that allowed Lincoln to prevail in 1860. Free labor. Individual ownership. It was what made Theodore Roosevelt into the second most famous Republican President. Frustration with bureaucracy and a system that nickel and dimes you every step of the way. Ronald Reagan used it to win the votes of Reagan Democrats, including among those of ethnic groups that had traditionally been aligned with the Democrats. A Republican Presidential candidate who actually takes such a position seriously and successfully communicates it may be able to make serious inroads into the Black community, just as Reagan made inroads with the "Reagan Democrats". This does not require pandering to the Black Leaders who work the till of the political machine. Nor does it require dealing with crazy racists like Louis Farrakhan, as Jack Kemp once proposed. 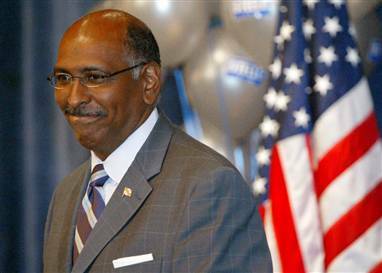 And it's not going to be done by electing a Michael Steele or by badly mimicking Black culture. It can only be done by convincing African-American voters that they have more to gain from less government, than they do from big government. And most of that momentum will come internally within the Black community. And there is not much to do but wait for it to happen. There is one thing however the Republican party can do. And that is to walk the walk, instead of just talking the talk. A few tax cuts here and there does not change the system. A few hundred dollars in the mail does not show the small businessman and the small farmer what he really has to gain from an ownership society. It requires actually getting government off their backs, not just financially, but as much as possible. Otherwise the Republican party is back to being a more moderate version of the Democratic party, and that isn't a major selling point. When people choose to turn their backs on a political party they've identified with for a long time, they need to see that they're choosing something actually different. Not just a party that's somewhat less bad than the party they were with before. They need to see an authentically new direction. Otherwise all they're doing is choosing the lesser evil. The same thing applies to Republicans who wonder why Jews don't flock to the GOP since it is better on Israel. Yes the Republican party is better on Israel. Not good, better. Just as the Republicans are better on taxes, not good. Better. On taxes, this means the Republican party will only take X amount of your money, while the Democrats will take Y amount of your money. The difference between them is a matter of arithmetic, not of fundamentally different philosophies. On Israel, the Republican party pressures Israel to cut a deal with the terrorists by X amount, while the Democratic party does it by Y amount. Again the difference is a matter of arithmetic. And that means there really isn't much of a philosophical difference at all. To win anyone's vote. The vote of a race, an ethnic group, women, Elks, hunters, molecular biologists or just fed up middle class people from all backgrounds who are tired of a dysfunctional and oppressive government-- the key element must be to show that you have the courage of your convictions. Please don't tend to believe politicians. Either Democrats or Republicans, because they know that politicians lie. That they say one thing and do another. The Tea Party movement and general disgust with Obama's policies has given the Republican party credibility it has not yet earned. To actually make successful inroads, it has to show that it can actually follow through once in office. If it does so, the Republican party may be able to swing over groups that would rarely if ever vote for them. If it fails to do so, it will lose even voters who already voted for them. So the question in the end goes beyond any particular group or community, and to the larger question of commitment. Will the Republican Party commit to its principles or just talk about them. The future of the party and America hinges on the answer to that question. Read your opinion in Arutz Sheva. Perhaps it is time for Jews to join the tea-party movement. I suspect the majority of their membership would support Israel. Since the tea-party movement is making an end run around Obama, they could add a new level of public action to protect Israel. Since they are not beholding to Obama's people and not easily stopped, they can do a lot for Israel. An associated group called the "J-tea" might be the name. Thank you for your excellent insights. I learn so much from reading your pieces. May your neurons continue firing so well for many years to come so that I can keep returning to your blog for intellectual sustenance. I agree with everything Sibyl wrote. Winning the black vote will be difficult but it can be done, especially when the GOP points out all the promises Obama failed to deliver and his downright contempt for the poor and working class. Blacks in the middle and upper middle class would probably be most receptive to the GOP platform since they're less dependent on the Democratic handouts. Different approaches will be required in trying to reach the black vote, largely based on socio-economic factors. Hope this comment goes through. Blogger keeps telling me I'm offline and then prompting me to leave the page I'm writing on. Excellent article. I really enjoyed the historical insights into party politics vis a vis the different ethnic groups who came to America. 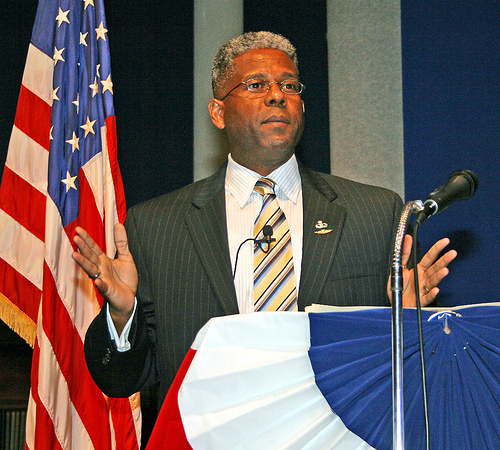 I am encouraged by the increasing number of black conservatives that we see emerging today. There is a small but growing vanguard who have figured it out for themselves. Let us support them and help them grow their influence in the black community. Very insightful article, there are many African Americans who are not buying the Democratic package; who have actually rejected it as an option a long time ago. The Republican Party is going to have to "sell" itself not just to African Americans but to America, before it can do so it will have to reformulate itself. It needs to be solid on less government, conservatism and personal responsibility, it needs to actually walk the walk not just talk the talk. There are people just looking for a hand out; people from all races and backgrounds and there are people who are tired of being forced to support things they don't think are good for themselves or for anybody else, again people of all races and backgrounds. The Republican Party needs to focus on representing the second group of people. I am not talking about abandoning social responsibility, but there is a difference between social responsibility and socialism.